We are so excited you made the choice to begin your fitness adventure and are ready to help you improve your health and reach your goals. Our goal is to serve you and make sure you have an awesome experience in our club. We strive to create a positive, uplifting atmosphere that glorifies God in our club, and have proudly done so since 2006. Whether your goal is to get in the best shape of your life or start your fitness journey, we are here to help you achieve that. 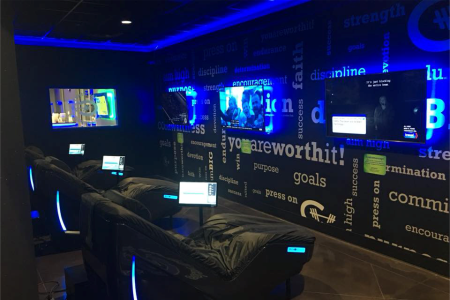 Our Topeka location was the third club and it opened the doors in January of 2018. We are conveniently located off Wannamaker at 5929 SW 19th Terrace. At the time of opening, the Topeka club was our largest by far boasting over 20,000 sq. feet. The reaction from the Topeka community was amazing and we were blessed with many members joining our club. Our facility is open and staffed 24/7 providing flexible hours for members to come and exercise. The staff shows up day in and day out with a positive and friendly attitude to make our members feel like they are at home. Our memberships have no up sales and reward you the more you visit our club to enjoy access to EVERYTHING our gym offers. 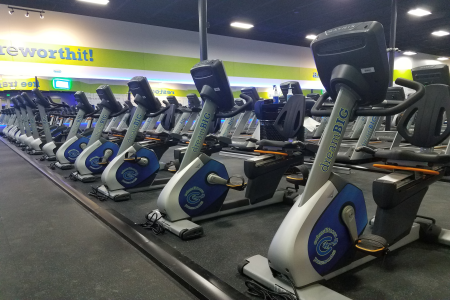 Our awesome fitness equipment is second to none in our industry and will help you conquer your goals. This location provides private restrooms (NO AWKWARD LOCKER ROOMS EXPERIENCE). Our memberships allow you to ALWAYS bring a friend for free. The free friend benefits will not incur in any extra charges, so you can bring a buddy and have an awesome time in our gym. 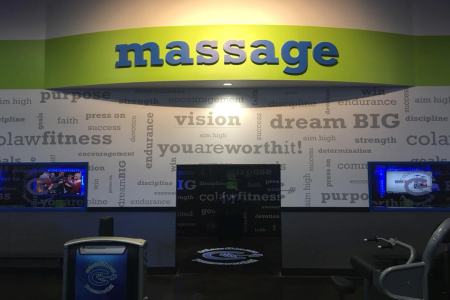 At our gym you get free unlimited use of the massage area with your membership. 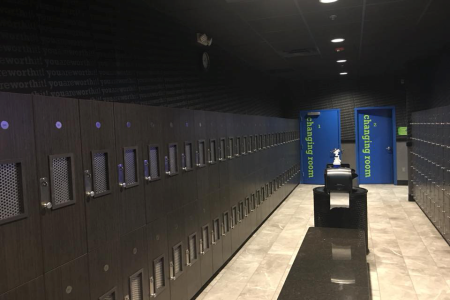 The massage chairs and Hydromassage beds will make you feel like a new person after using them. Anyone would love to have a relaxing experience after a workout session, or before/after work. Check us out and enjoy our great massage area. 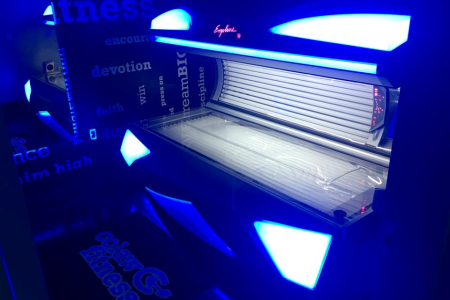 Colaw Fitness in Topeka provides unlimited access to our tanning area, so you can enjoy our awesome tanning units. 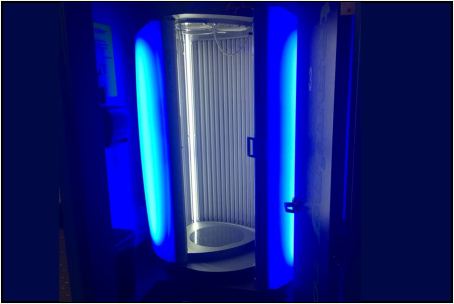 The tanning area is available for you and your guest, as well. We have plenty of lay down and stand up units to accommodate our members. At Colaw Fitness we provide plenty of cardio equipment for our members and their guests. 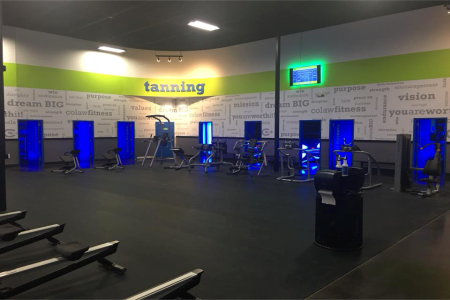 The free weight area and weight lifting machines will make it easy to get a more toned body. Our free trainer instruction will show you how to properly use the equipment to achieve results. In order to lose weight, you need a proper nutrition plan which is why we offer free nutrition instruction with your membership. We offer the CF-30 program which is a 30-day diet and workout plan that guarantees you will achieve AMAZING results. This program is available to members completely free with their membership. 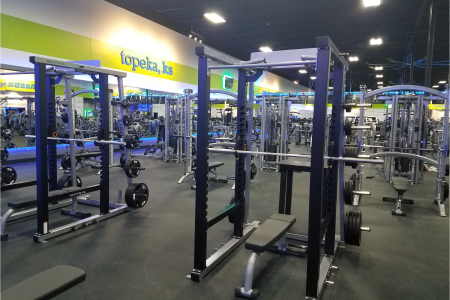 The Topeka gym has an open layout that makes it easy for our members to find their way around all of our different sections. This will help you identify faster where you need to go to complete your workout routine. 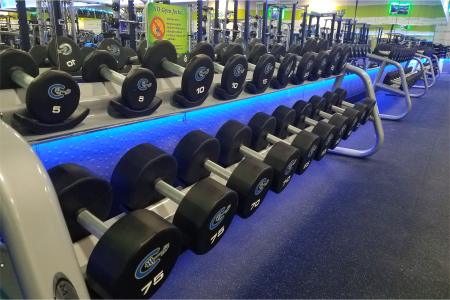 All our areas will provide state of the art equipment to help you have a great workout and achieve your goals. 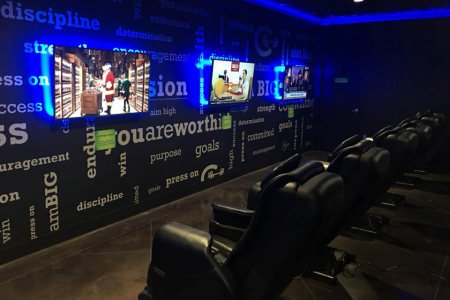 We offer a workout facility that makes everybody feel like they are worth being here. Our “No Gym Jerk” policy helps us ensure all of our members experience a great time in our gym. So, if this is your first time in the gym, you should know that our staff and members are here to encourage you. Want to join a gym that values their members? Visit us on the first Monday of the month while we celebrate our members. We offer free pizza from 4pm to 8pm as a cheat meal and a time to have fun! Did we mention we have FREE giveaways for members who sign up during the event? Our company loves to give back and we donate $1 of every membership sold to Water4Lilfe Mozambique. We want to support this organization as they build water wells in Mozambique, Africa to help solve the lack of clean drinking water in the region. Each water well is going to produce clean and safe drinking water to approximately 1,500 to 2,000 people. The people of these well site communities have never had clean, local water available to them. The local access to fresh, clean water drastically changes and saves lives. These local communities are incredibly excited and grateful to know that they will no longer need to travel the many unsafe miles to get the much-needed water for everyday life. As of 2018, Water4Life Mozambique has built over 100 water wells and has impacted thousands of lives in Mozambique. 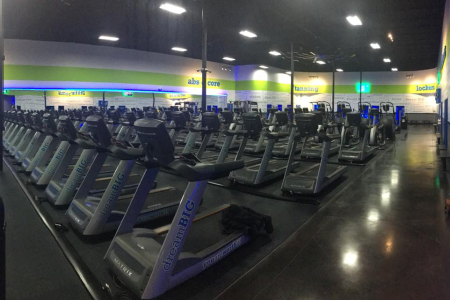 Colaw Fitness is the highest and most reviewed fitness center in Topeka. 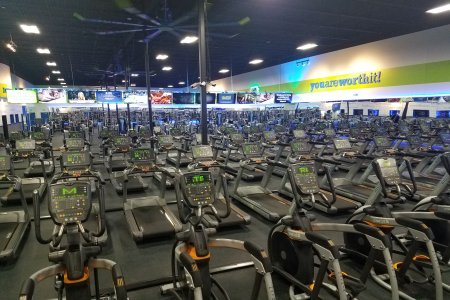 Our members continue to praise the friendliness of our staff, how well maintained our equipment is, and the cleanliness of our entire gym. We are proud to “keep our facilities clean”, “keep our facilities fixed”, and “love on people”. Standing behind this is what makes us and our staff different from any other gym. 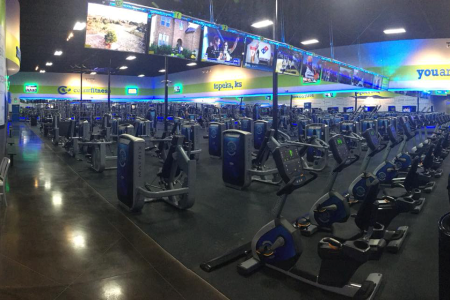 Our goal is to offer a positive, uplifting experience to all our members. 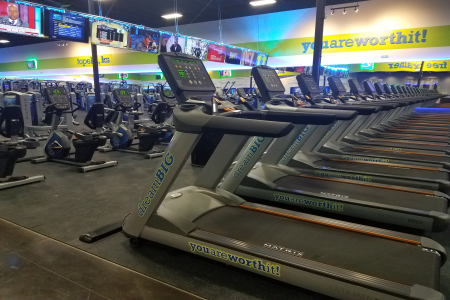 We offer a workout facility that makes everybody feel like they are worth it to be here. 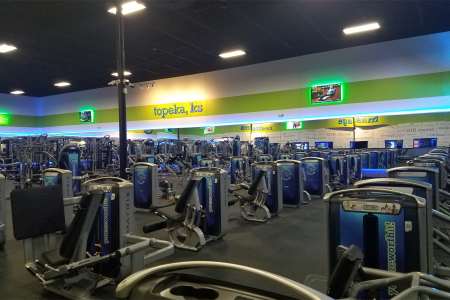 Our “No Gym Jerk” policy helps us ensure all of our members experience a great time in our gym. So, if this is your first time in the gym you should know that our staff and members are here to encourage you. We are passionate about using our business as a ministry to glorify God. We believe that God provides everybody with a unique platform to impact the life of others. For our company, fitness is the platform to help make Jesus famous. Start your membership today for as low as $1 down and $5 a month and enjoy everything we have to offer in our gym. 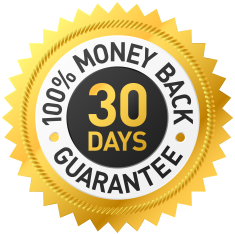 There are no risks to visit our club because we offer a 30-day money back guarantee. That’s right! If you don’t think we will be a good fit for you, we offer a refund if you cancel in the first 30 days of signing up.